We don't cover a lot of child and youth oriented content here at Screen Anarchy but, y'know, kids can be pretty darn anarchic and good filmmaking is good filmmaking. 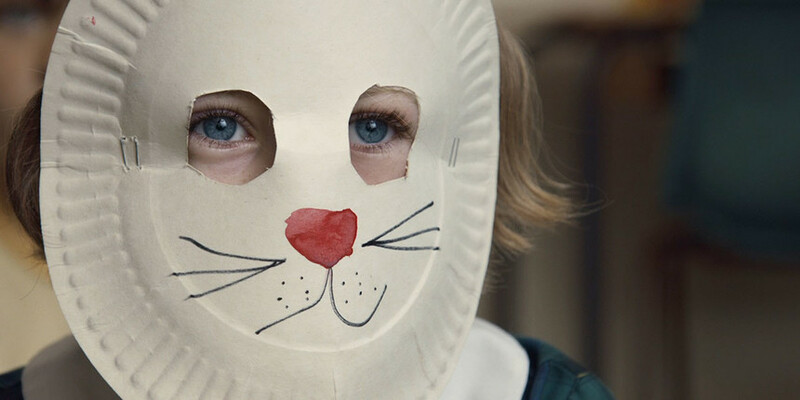 And Natalie van den Dungen's Bunny New Girl definitely showcases a lot of good filmmaking. Seven-year-old Annabelle arrives for her first day at a new school wearing a homemade rabbit mask. Despite the reassurances of her kindly teacher, her classmates wonder what Annabelle is hiding. It takes the empathy of a new friend to give her the courage to be seen just the way she is. That synopsis comes from the film's appearance at the TIFF Kids festival in Toronto and after a very extensive festival run the full short is now online. Check it out below. BUNNY NEW GIRL | a short film from Natalie van den Dungen on Vimeo.